From Development & Design to Consulting and Marketing, Monarch Interactive is fully prepared to meet you needs. Need a new website? Customer Management Tools? Reporting Web Applications? Our agile processes and professional expertise can get you up and running in no time! We live and breathe typography, layouts, responsiveness and usability. 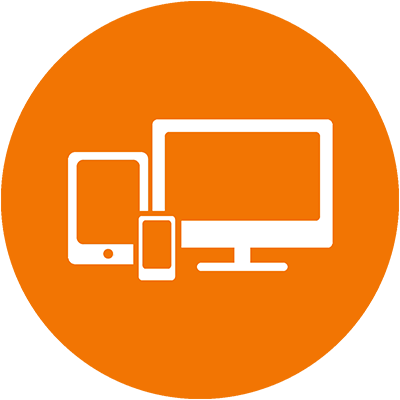 We work with you to develop modern, highly usable designs that scale across all devices and screen sizes. Millions of dollars have been made in mobile applications. Whether it's a responsive web site, web app or native app, we can help you leverage the mobile format to bring you more business and customers! Online sales are essential for modern businesses. With out years of e-commerce experience, we will create wonderful shopping experiences your customers will love! When you're running your company, you may not have the time to find the best technology for your latest project. Our consulting services can analyize your needs and provide you with the experience and resources that will work best for you. SEO has expanded well beyond simply finding a spot on Google's first page of results. To really drive more traffic to your site, you need a full SEO and Marketing plan. We can tailor a plan to specifically work for you and your industry! Your one-stop-shop for internet marketing and customer engagement. Our mission is to utilize the internet to help your business make more money! You realize the power of the internet to grow your business. But knowing where to start can be overwhelming. That's where we come in! We work to create a complete game plan for your business' internet presence. From custom websites & mobile applications, to internet marketing and e-commerce solutions, we deliver high quality results backed by real data. We don't waste your time & investment on stuff that doesn't bring results. Many other firms will charge you extraordinary prices for a fraction of the services we provide. 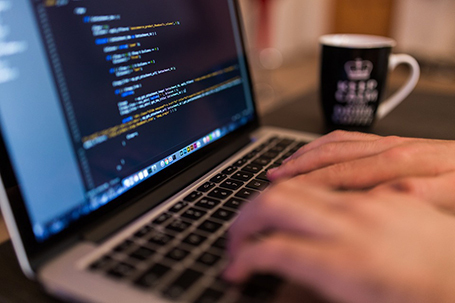 If you choose one of Monarch Interactive's marketing or web development packages, you'll be securing top notch web services at an incredibly cost-effective price. We specialize in being a "one stop shop" to meet all your business' online presence and marketing needs. We start by evaluating your business, marketing goals and current online presence. Then we provide you with options and timelines and work with you to deliver in a timely and cos-effective manner. If you're looking for a website, look no further. We work with you to identify your message, requirements and look & feel. We will provide you with a realistic timeline, broken down into development milestones and task estimates. Once the site is developed, we can deploy the site live on your hosting or ours! Our marketing plans are dedicated to helping grow your online presence and getting more business through the door. We use effective, "Google-friendly" strategies to help optimize your search engine positioning, as well as create content & video marketing to drive quality traffic to your website. The result is a strong, online persona. This leads to more visits & phone calls, which in turn leads to increased revenue for your business. Contact us at Monarch Interactive today and take the first step in reaching your new, worldwide audience. Fill out this form to set up a free consultation. By accessing the web site at http://www.monarch-interactive.com, you are agreeing to be bound by these web site Terms and Conditions of Use, all applicable laws and regulations, and agree that you are responsible for compliance with any applicable local laws. If you do not agree with any of these terms, you are prohibited from using or accessing this site. The materials contained in this web site are protected by applicable copyright and trademark law. This license shall automatically terminate if you violate any of these restrictions and may be terminated by Monarch Interactive at any time. Upon terminating your viewing of these materials or upon the termination of this license, you must destroy any downloaded materials in your possession whether in electronic or printed format. The materials on Monarch Interactive's web site are provided "as is". Monarch Interactive makes no warranties, expressed or implied, and hereby disclaims and negates all other warranties, including without limitation, implied warranties or conditions of merchantability, fitness for a particular purpose, or non-infringement of intellectual property or other violation of rights. Further, Monarch Interactive does not warrant or make any representations concerning the accuracy, likely results, or reliability of the use of the materials on its Internet web site or otherwise relating to such materials or on any sites linked to this site. In no event shall Monarch Interactive or its suppliers be liable for any damages (including, without limitation, damages for loss of data or profit, or due to business interruption,) arising out of the use or inability to use the materials on Monarch Interactive's Internet site, even if Monarch Interactive or a Monarch Interactive authorized representative has been notified orally or in writing of the possibility of such damage. Because some jurisdictions do not allow limitations on implied warranties, or limitations of liability for consequential or incidental damages, these limitations may not apply to you. The materials appearing on Monarch Interactive's web site could include technical, typographical, or photographic errors. Monarch Interactive does not warrant that any of the materials on its web site are accurate, complete, or current. Monarch Interactive may make changes to the materials contained on its web site at any time without notice. Monarch Interactive does not, however, make any commitment to update the materials. Monarch Interactive has not reviewed all of the sites linked to its Internet web site and is not responsible for the contents of any such linked site. The inclusion of any link does not imply endorsement by Monarch Interactive of the site. Use of any such linked web site is at the user's own risk. Any claim relating to Monarch Interactive's web site shall be governed by the laws of Massachusetts without regard to its conflict of law provisions.